Pest Buzzer operates through emitting short wavelength, high frequency sound waves to repel the pest. High frequency controls the behaviour of living invaders shown promise according to different research studies. Mosquitoes, Cockroaches and Mice are responded to different frequency. Even individual group of pest in different regions may vary, Pest Buzzer equips 3 different high frequencies for each group. User can switch different frequency in each group to repel the pest. Humans are unable to hear high frequency over 20kHz. There is a test button in colour with human ear symbol which emits 4.4kHz for user to test speaker if the device is not mute and volume has been set to maximum. The frequency applied for Mosquitoes is in low end frequency between 11kHz to 20kHz. It is possible to be heard by your kids. If they can hear it, you may need to choose 20kHz+ frequency range. It is important to note that ultrasonic frequencies do not travel between walls. 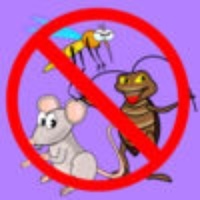 So for the most effective pest control, ultrasonic device need to be placed in open area without obstacles. Check these links to find your download for Pest Buzzer for & iOS or for your device iPod TouchiPhoneiPad. The app Pest Buzzer is compatible with te following devices.